Some mild spoilers follow, but I left it pretty opaque. The key to unlocking The Master, an intensely psychological portraiture of one of the darker sides of Americana, may be in Joaquin Phoenix’s right eye. As the misguided and confused Freddy Quell, Phoenix’s eye remains barely open, an opaque darkness coming through, but no sense of light. And then, compelled by the film’s titular character, it quivers and moves. Perhaps there is something in there. Until it regresses back onto itself, as beast, like the rest of Quell, which cannot be controlled. If Paul Thomas Anderson could have any dead soul watch his latest film, it should certainly be the Hungarian film theorist Béla Balázs. No one knew the power of the close-up in the way Balázs describes on his writings on film and specifically microphysiognomy as he called it. 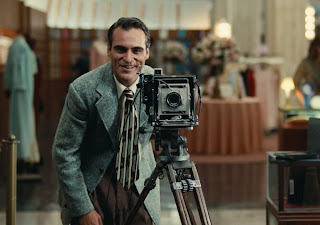 So much has been made in cinephile circles about the use of 65mm cameras to shoot The Master, a format usually reserved for large epics across oceans and deserts. 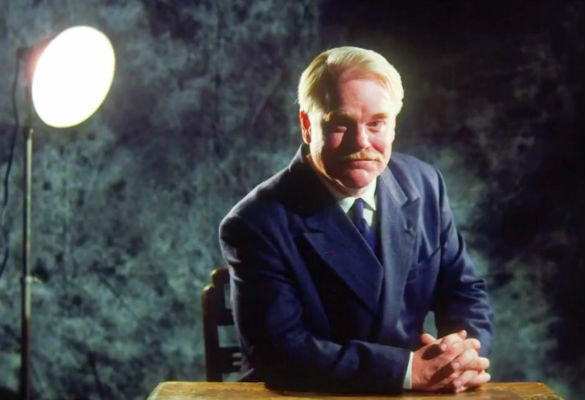 Anderson’s film features the occasional shot of those, but what becomes clear very soon is that he wants to use the format for the close-up, to capture every detail on the faces of his characters. The most mild gesture, one surely missed by 35mm and certainly digital, is often the essential stroke in unlocking the movements of this grand film that refuses any sort of simplistic categorization. What separates The Master from Anderson’s previous film, There Will Be Blood, is his decision to move into the cerebral. There Will Be Blood is a film essentially about the structures of institutions—business, both capital and religion—that opens itself to expressive images that made this connection clear. But film as a medium, based in its spatial existence, can only peer so far into human consciousness. This is perhaps why Anderson has created two such enigmatic characters that seem to be both signifier and signified—they act as emblems, sometimes too obvious, for their greater movements in the post-war American landscape, but they also become characters fighting toward own volition, attempting to redefine themselves as greater movements. The most obvious of these movements is no doubt the film’s central narrative, “The Cause,” as led by Phillip Seymour Hoffman’s Lancaster Dodd (a name only mentioned about two thirds of the way through the film, he is otherwise known as Master). It’s no secret that Dodd and The Cause have their parallels with the rise of L. Ron Hubbard and Dianetics, which became Scientology, but those parallels are only surface. The question guiding Anderson is less “What led to the rise of Scientology?” than “What underpinnings in American society and psychology allowed for movements like Scientology to adapt into the American landscape?” One might argue the only difference between those two questions is the flowering language, but the key difference is that the specifics allow Anderson to draw parallels that most would not like to admit. Certainly creating a character fraught with psychological torment like Freddy Quell (that last name is no coincidence) is one way to start exploring. We first meet Quell on a beach off the coast of Japan, nearing the end of WWII. Quell has a primal quality to him as he smashes coconuts for their milk, wrestles with other servicemen, and in one disturbing scene, caresses and fingers a woman made of sand (an image the film will return to). When he hears of victory in Japan, he descends into the battleship to remove the alcoholic bomb fuel for his own consumption. His reentry into the framework of American life seems fraught with disaster. In one of the few filmic references he conjures (for this is a work truly of his own vision), he subverts the iconic opening shot of The Searchers, as Freddy runs from the structures of society. Ethan Edwards has no place in society; society has told Quell he belongs and he must adjust, as a captain explains to soldiers about the promises that await them at home, but Quell understands it as an impossibility. In a gorgeous tracking shot (one of many in the film, and none of which “announce” themselves as such, a quality that Anderson’s critics that have derisively chided him for), Quell is drawn to Dodd’s yacht like a moth to the flame, a fate destined to happen. Dodd finds Quell’s animalistic qualities fascinating, a challenge that inspires him to take him on as part-pupil and part rival. He sits Quell down for a question and answer session (One that if he blinks, must be started over), one that seems doomed to go nowhere given Freddy’s penchant for flatulence. But Dodd repeats the questions, and stares into the soul. Soon, Feddy’s lips are quivering, the contours of his face suggest a change in his anarchistic attitudes into a directed anger, and then into paralyzed fear. Phoenix gives a lot of physicality to his performance (perhaps too much at times, though often by Anderson’s cue), but his ability to convey these subtle movements in emotions (and Anderson’s ability to capture them) is the key to unlocking the film’s not confusing, but certainly opaque narrative. 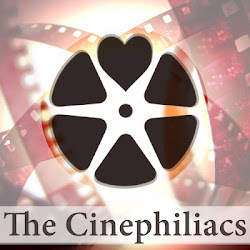 Those looking for the links to the other works of this titan of a director need not look further than this relationship, as these symbolic titans battle for the younger’s soul. Anderson’s obsession with surrogate father figures (Hard Eight, Boogie Nights, Magnolia, and the after mentioned Blood) stem from an obsession with the conflicts from the pasts and the voids that are filled through the symbiotic relationships, but none is more fraught with both love and hate. As Dodd, Hoffman gives a quiet and often enigmatic performance. He doesn’t let us understand what motivates his movement toward some greater power (we’re given some details to what “The Cause” believes, but none of it all too important), but he gives plenty into why he cannot let go of Freddy, a figure that seems hell bent on destroying him and everything he stands for without even realizing it. During a final confrontation between the two, Hoffman slowly sings a tune, a last attempt to pull into Freddy’s haunted past and pull him under his wing, but don’t listen to the words—watch the trembling neck of Hoffman, one that suggests an infuriating rage as well as terrifying fear. Can Freddy be converted? No, but in exposing his failures, Anderson reveals the power and rise of cults and their essential Americanness in the 1950s. The film’s pop-Freudianism, both in the images Anderson suggests and the doctors that attempt to analyze Freddy, find meaning later as Dodd’s “processing” method, which attempts to unlock the inner soul. A gorgeous tracking shot of a woman (Amy Ferguson) in a department store, her glistening beauty something out of Hitchcock, is undercut by her occasional remark on the green dress she wears, “Only $49.99.” Desire comes with a price, and even Freddy must pay to reach the enlightenment of the cult through a physical and psychologically tormenting training that tests his entire will (as well as his sexual fervor, which Anderson paints throughout the film as an essential part of crafting the will). And of course, the recurring images of water which open the film, a raging anger fueled by Freddy’s PTSD and rampant alcoholism. 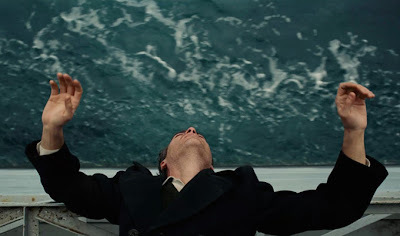 One shot suggests Dodd’s yacht as a calming storm that can conquer such furious liquids, but as the center of the shot suggests, it can only be a barrier (the cinematography by Mihai Malaimare Jr, who collaborated with Francis Ford Coppola on Youth Without Youth and Tetro, can only be described as haunting—for a film so large about themes, the visuals are purely intimate). In terms of his own work, The Master finds similarities in Punch-Drunk Love in the way the film quietly avoids defining itself on any structure. For every scene that I thought might be too obvious in its execution, too obviously playing at something, Anderson reverts back onto another theme or idea that reversed my theory. That might sound like a filmmaker who is too sporadic or unsure of what he is doing that he fills his film with enough ideas that might stick, cramming enough “Big Themes” in there that everyone walks away with something. 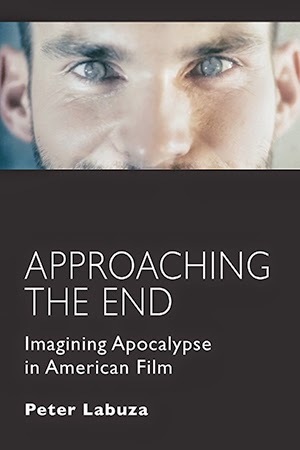 But this isn’t just a Big Theme film, and as much as Anderson gives every frame and detail lush symbolism, he’s more interested in portraiture—not just of his two individuals, but the American landscape that gave rise to today’s fervent religious ideology, which he exposes that by ripping that framework apart by an intense personal conflict. As Quell reverts back toward the womb, toward the first source of life, he can only find create a representation. But The Cause is a representation as well, attempting to fuel a need for spirituality in the post-war landscape. Perhaps the most characteristically beautiful shot in The Master is also it’s most potent: Dodd’s yacht sales toward the ocean just under the Golden Gate Bridge, the American flag proudly waving through the air. Spiritual fever has always been essential in the Manifest Destiny of the United States under its imperialistic attitudes, and while we may want to see the rise of cults as an exception to our American philosophy, it’s tied right into its seams. Good review Peter. This film did a lot less for me in an emotional way than I expected, but I still couldn't deny Anderson's craftsmanship and everything he does here with this material. One of the best flicks of the year and is hopefully remembered big-time, come Oscar season.